I am anticipating more adventures, interaction, situations and experiences with each of characters I love so much. I shared a post here about food the Crawley’s might enjoy in their lavish upstairs dining area. But, what about the hard-working and diligent servants that keep the household running so smoothly (at lease most of the time)? Dear Mrs. Patmore, who’s bossiness is smoothed by her sweet, heart-of-gold, runs a tight kitchen. In addition to cooking and baking for the overseers of Downton Abbey and the many guests they entertain and parties they host, Mrs. Patmore is responsible for providing cost-effective yet hearty nourishment for the staff of this large estate. 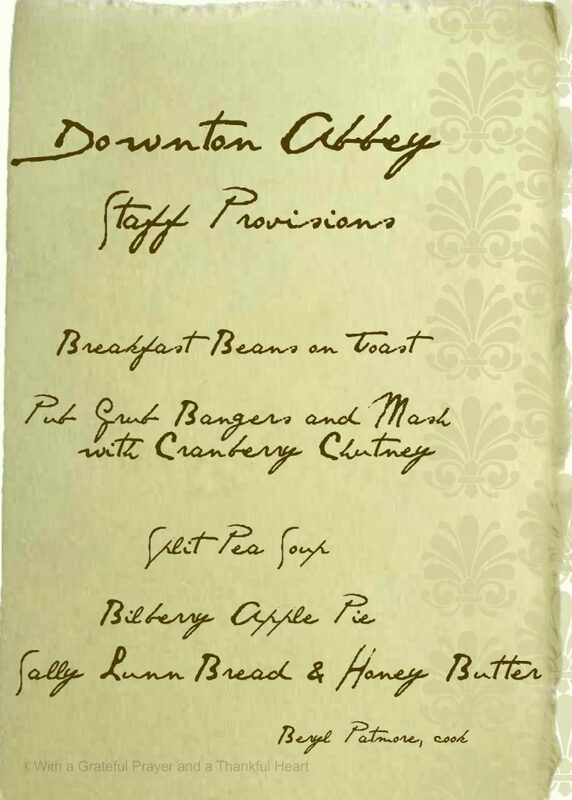 Perhaps the organized Mrs. Patmore jots down a note each day listing a menu like this one that she plans to prepare and serve to the staff. Getting ready each morning in the early hours before the family rises requires a hearty breakfast to provide the energy needed to accomplish ones responsibilities. 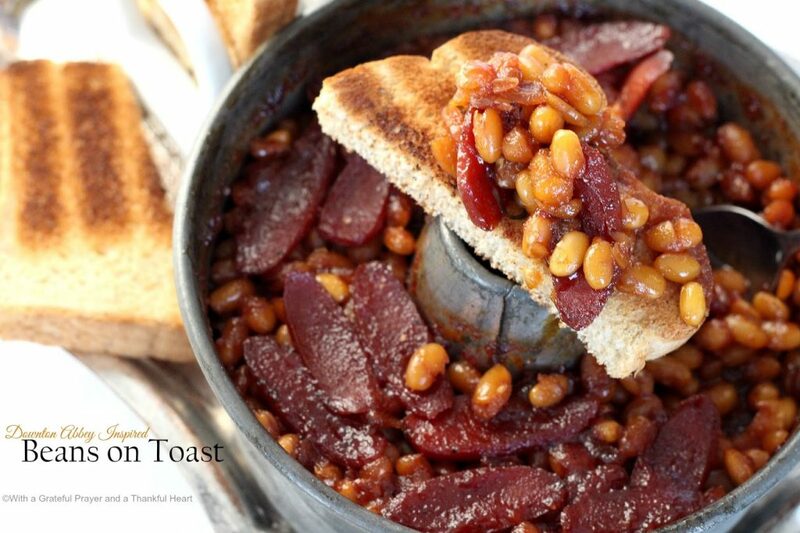 A hot tin of baked beans on toast hits the spot and fills those nutritional needs. 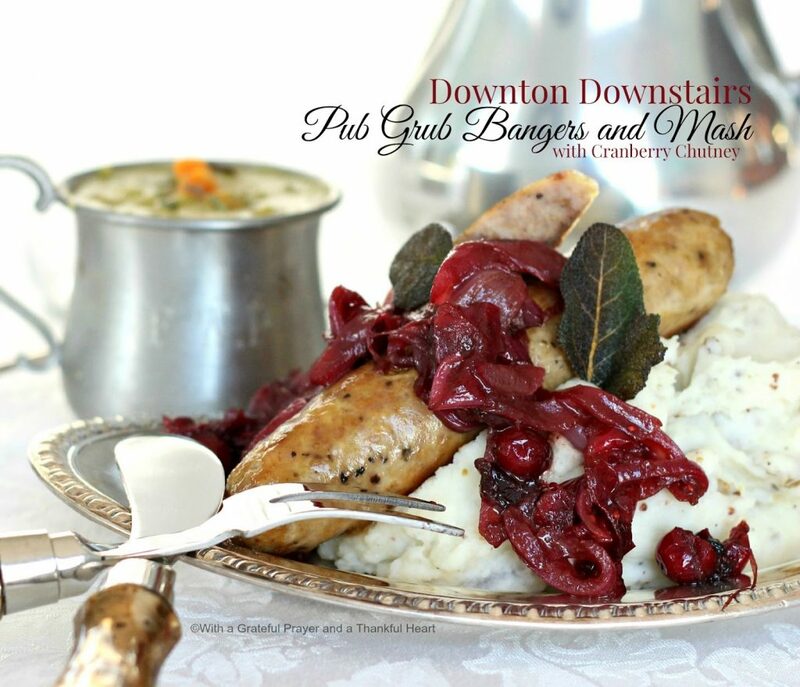 This traditional English entree of mashed potatoes and sausage is delicious. Usually made with a brown gravy, this version gets added flavor and color from red onions and cranberries. 4 medium russet potatoes, peeled (if desired) and cut into chunks. Add butter (about 2-Tbs. ), sour cream (about 1/4-cup) cream cheese (about 2-ounces) and warmed milk; season to taste with salt and pepper. Mash, adding milk until desired consistency. Place a baking rack on a sheet pan and arrange the sausages in one layer on the baking rack. Bake for 18 to 20 minutes, until the sausages are just cooked through. Place sausage on foil-lined pan. Heat oil in skillet over medium heat; add onions and saute for five minutes. Add cranberries, cinnamon and a splash of water. Simmer 10-15 minutes, stirring until onions are soft and the chutney has reduced. Add ginger and balsamic; cook a minute or two more. Mound a generous portion of potatoes on plate and top with sausages that have been cut in half diagonally. Sprinkle with fresh sage and serve. 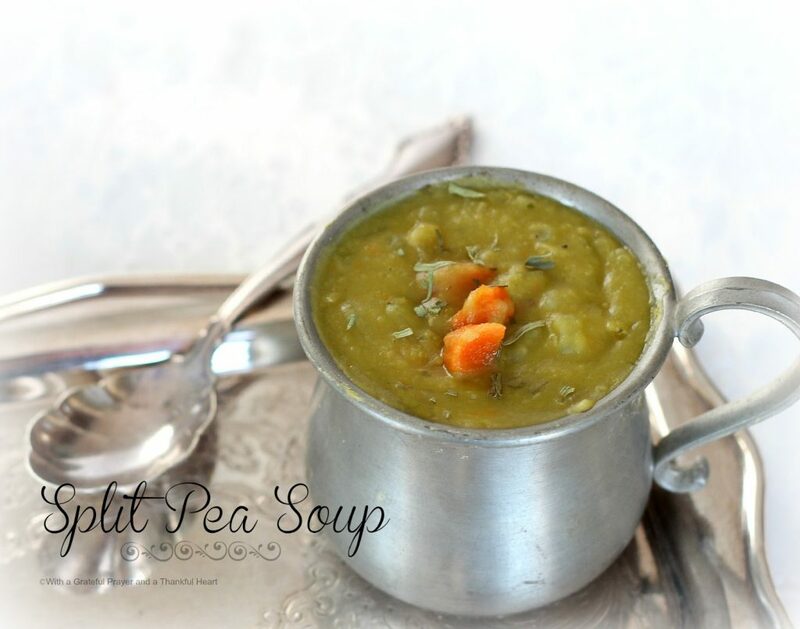 A pot of Split Pea Soup is not served to Lords and Ladies but is well received by staff especially on cold winter evenings after a long and tiring day. 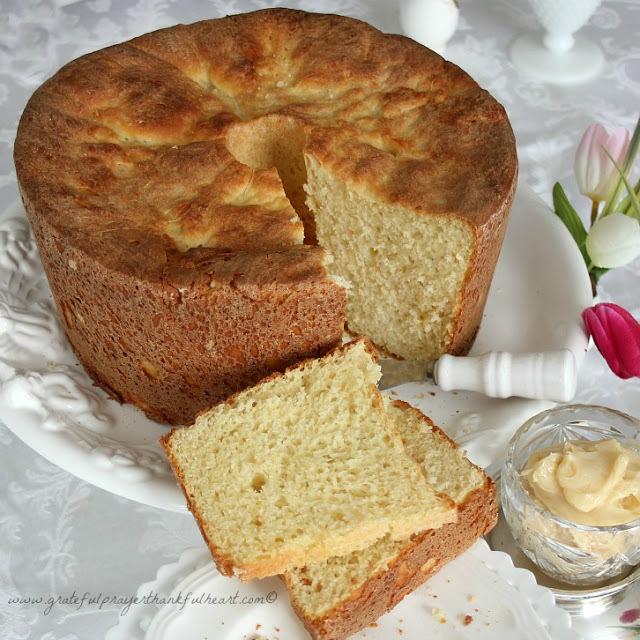 A slightly sweet bread for tea or lunches is even better with honey butter. Dessert isn’t often a part of the servants daily meal but on special occasions, a lovely Bilberry Apple Pie encourages the staff to be extra diligent and helpful to stay in Mrs. Patmore’s good graces. Is a bilberry different from a blueberry? They are closely related but not the same. The bilberry is native to Europe including the British Isles, while the blueberry is native to North America. Bilberry also known by other names including blaeberry , ˈbleɪbɛri, whortleberry, ˈhwɜrtəlbɛri, (ground) hurts, whinberry, winberry, windberry, wimberry, myrtle blueberry and fraughan. Bilberries are found in very acidic, nutrient-poor soils throughout the temperate and subarctic regions of the world. They are closely related to North American wild and cultivated blueberries and huckleberries. Place the bottom crust into a deep-dish pie pan. Spoon the filling into the pie shell. Arrange butter slices evenly over filling. 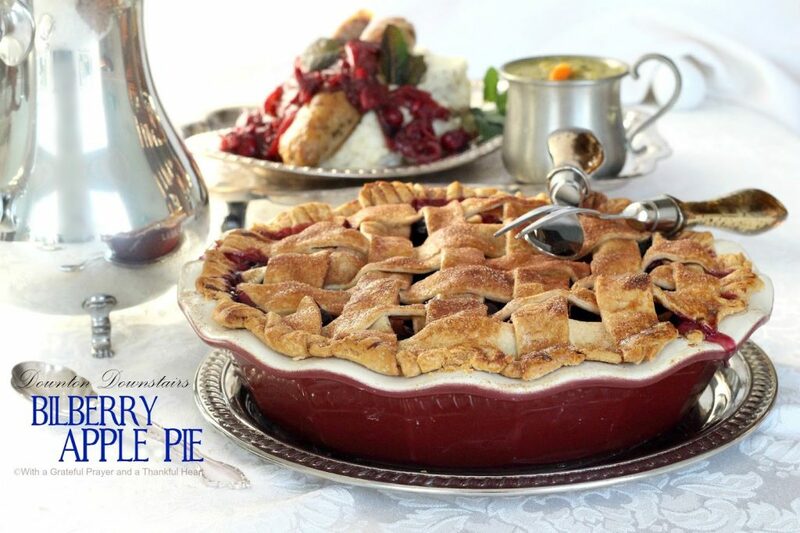 Cut the top crust into 1-inch strips and weave into a lattice pattern on top of pie. Press edges of strips to bottom crust; turn extra dough under and crimp. Brush on egg wash and sprinkle pie with cinnamon sugar. Place pie onto a foil-lined baking pan. Place in preheated oven and bake 25 minutes. Reduce oven temperature to 375 and continue baking 45 minutes, or until filling juices begin to bubble through. Tent with foil if browning too quickly. Cool on wire rack and serve at room temperature or refrigerate. *I used a standard-size, refrigerated crust for this recipe and it worked just fine. Using a pizza cutter, I cut one of the crusts into 1-inch strips to make the lattice top. I love Downton, Im not sure when we have a new season starting, Im guessing we are probably ahead of you seeing as its a British program, but I always look forward to is coming around. This sausage recipe looks amazing! I also love Downton Abbey – every detail attended to – just imagine! We recently enjoyed a meal of Pub Bangers and Mash at Epcot Center in Disney World. Best served with a flight of beer samples. Mmmmmm . . .
Oh what wonderful recipes! 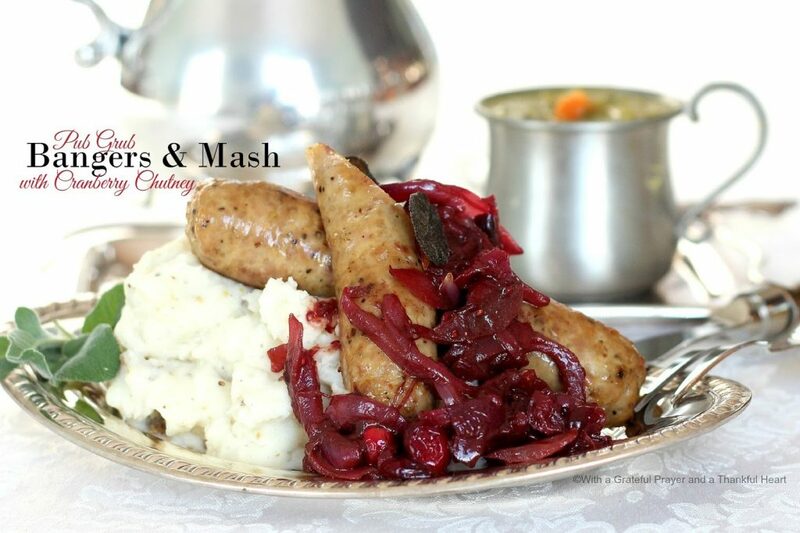 I think I would take Bangers and Mash any day over the food they eat upstairs! Did you happen to see the show on following the first episode on Sunday night called "The Manners of Downton Abbey"? It was an historial behind the scenes look at the aristocracy featuring many of the actors…very interesting AND informative. Great post, Lorraine! I'm a Downton fan, too, and was so glad to see the new season start. Hope it won't be all gloom and doom. Oh, you are going to love this season of Downton Abbey. 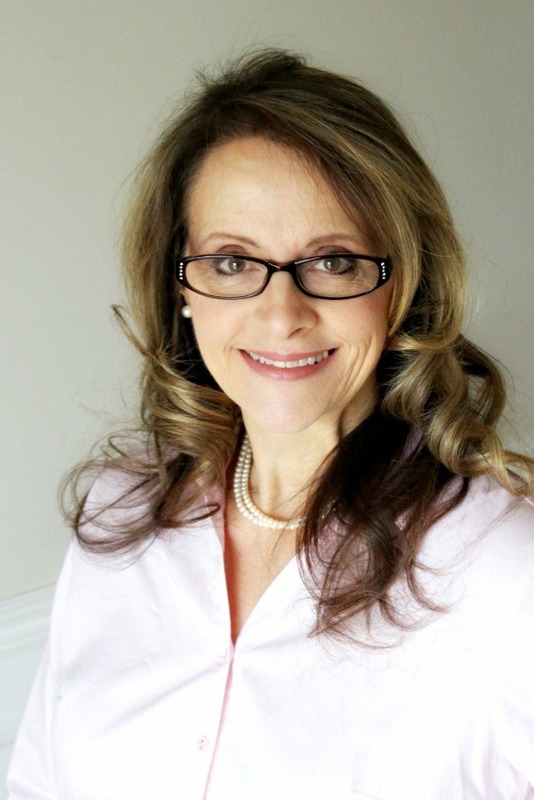 I have already seen it off of the blog, http://www.SimplyJane.com. She downloads them to her blog after they are seen in Great Britian which is usually in Oct. I love getting to see them and then I watch my other PBS favorites. Great looking recipes! Thanks so much for sharing…can't wait to see the new series! This is a fun post! It's amazing its DA time again, seems like it just ended. How fast time flies! The Downton Abbey folks are almost like friends now, aren't they? We're all so interested in their lives.